The Upano river is located in the south of Ecuador. It is a river that runs through a beautiful canyon with a thousand waterfalls called The Grand Canyon of the Upano. 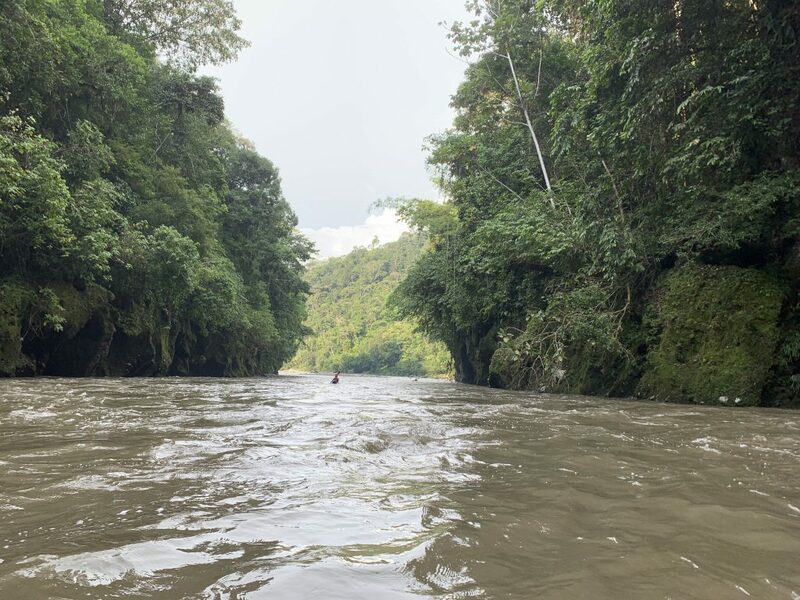 This is was one of the most beautiful canyons I have ever paddled, and during out stay in Ecuador, World Class Academy decided to have an overnighter on this majestic river. I was unbelievably stoked because there is a project to put a dam on the Upano and us paddling was like a protest against the dam. We started paddling mid-day on Friday and paddled for about an hour or two before we stopped at our first sight, which was a rock beach on the side of the river. We were not sleeping here, but there were beautiful fossils in the rocks. They were all shells and it was awesome to see untouched fossils because I have never really seen untouched fossils before too! The group I was in on the river was in charge of shooting as much media as possible to show the world about this river, but our plans ran into a little bit of trouble. 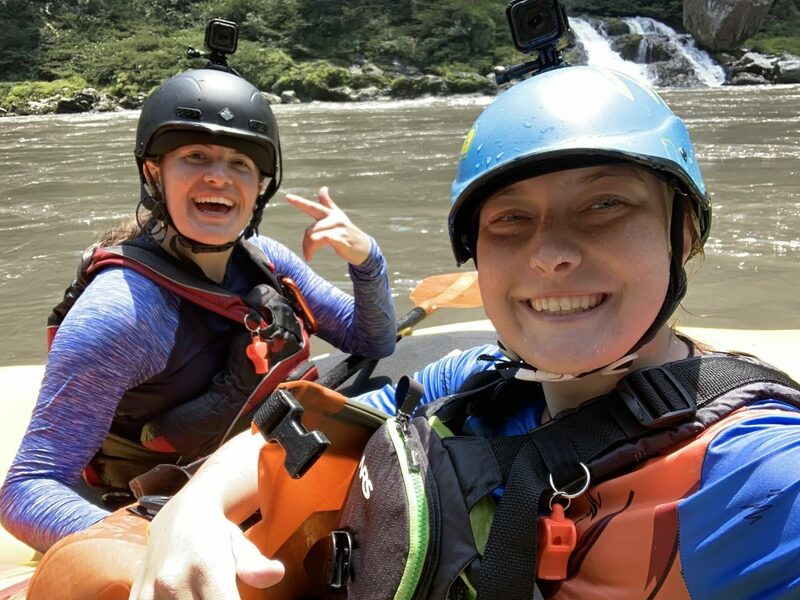 We were paddling down the river and we went to stop at a rapid to shoot media, but one of our team members missed the eddy and went downstream, which was fine. We got back in our boats and paddled down, but little did we know. The rapid we tried to get out at was right in front of where we were sleeping that night. Though we didn’t know and continued to paddle down the canyon and stopped at a cool boof, and we waited for what seemed like forever when we finally saw some of our friends come down. They stopped and told us we missed the camp. I looked back up stream and thought about having to hike my boat back up stream through some stout jungle. There was a takeout about 30 minutes down stream that we went to and ordered taxis to take us back up to camp. 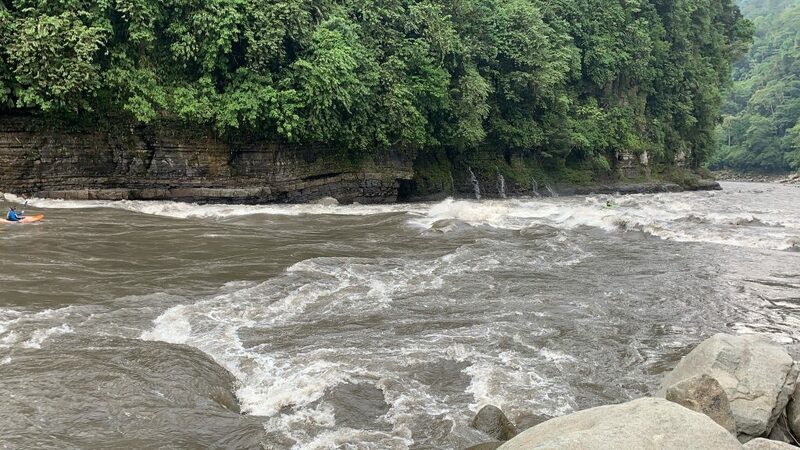 Though they took us to the wrong spot and there was some miscommunication and we thought the river started to flood, so the rest of the group was going to hike up to where we were dropped off. Therefore, we started to set up camp and we built a fire. 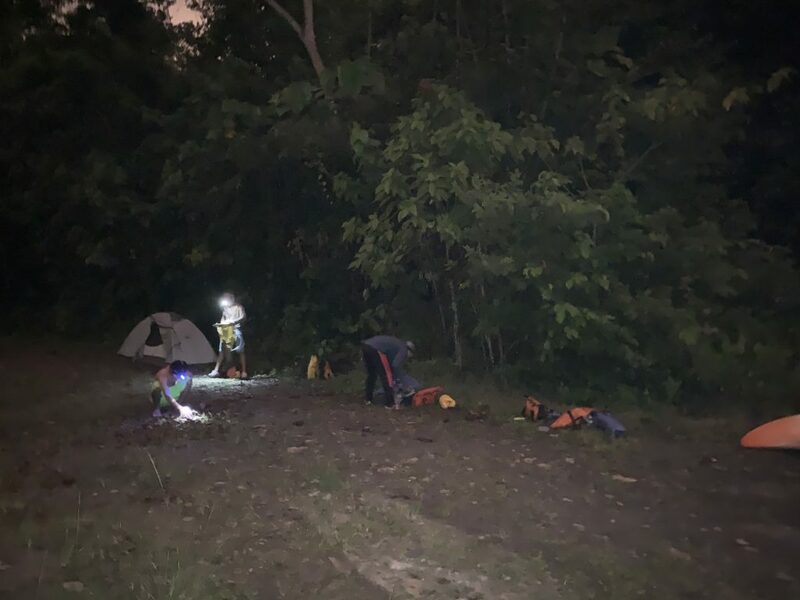 It got dark and I started to get a little scared because I was cold and didn’t have my dry clothes or my sleeping equipment because they were in someone else’s boat. After waiting for a while, we saw Abe, our guest coach, drive down the hill. He came to rescue us! We got in his SUV and headed to the camp site; we ate dinner and found out the river didn’t flood and finished off the day setting up out hammocks and went straight to bed. The next day, we arose from out luscious night in the jungle, ate some breakfast and put on the river. We paddled into the canyon and I was blown away by how gorgeous this canyon was. After paddling for paddling for a while, we stopped at a waterfall. 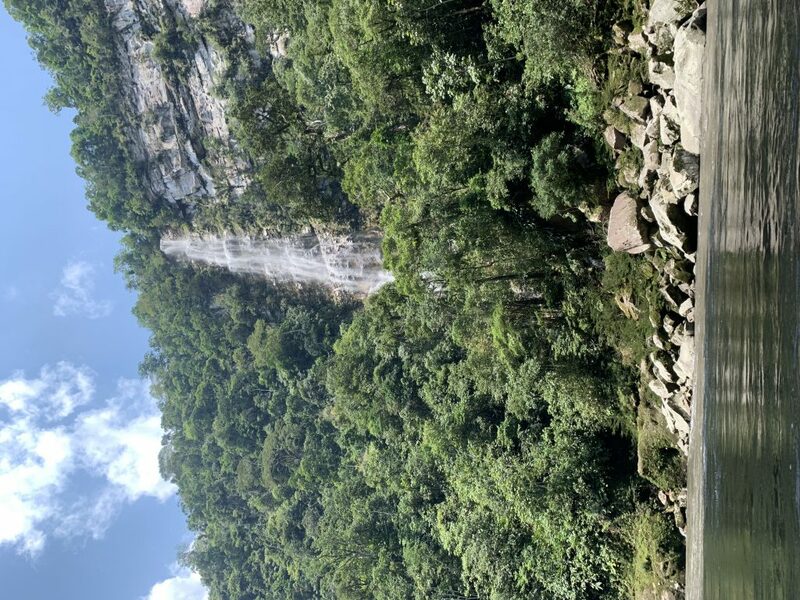 It was very beautiful, and we were able to climb about half way up and jump into the drop and then get smashed by the flow into the pool down below. After swimming for a while, we hopped back in our boats and headed down stream. Rapid after rapid, waterfall after waterfall, we paddled downstream. The Upano has quality whitewater, with epic boofs and epic waves to surf. After paddling for 5 hours we got to the last rapid. It was massive! It had a massive crashing wave in the middle and Kalob, our head coach, told us it was all good to go! Each student paddled hard into the massive wave, some were lucky and punch right through. Others not so much and they got crushed! After this rapid, we ended our overnighter with some snacks, which is always the number one priority after rivers.